Apart from being able to deliver the nicest reprimand of all time, this Dutch cyclist's conclusion is inescapably accurate: America doesn't take bicycles seriously. If anyone out there sees a downside to more Americans riding bikes, please enlighten me. If you need me, I'll be the one lodged firmly underneath a truck tire. Poster's note: So true. We still have a very long way to go in America. Our bike infrastructure remains full of design and engineering flaws, and our legal system shields dangerous drivers from any real consequences. Gas prices are a pittance, and don't come close to paying the true cost of driving. As long as these remain the case, bicycling will stay less than 1% of mode share for all trips, now and for generations to come. Most DOT's still struggle with even the most basic concepts, i.e. bike lanes through dedicated turn and bypass lanes. 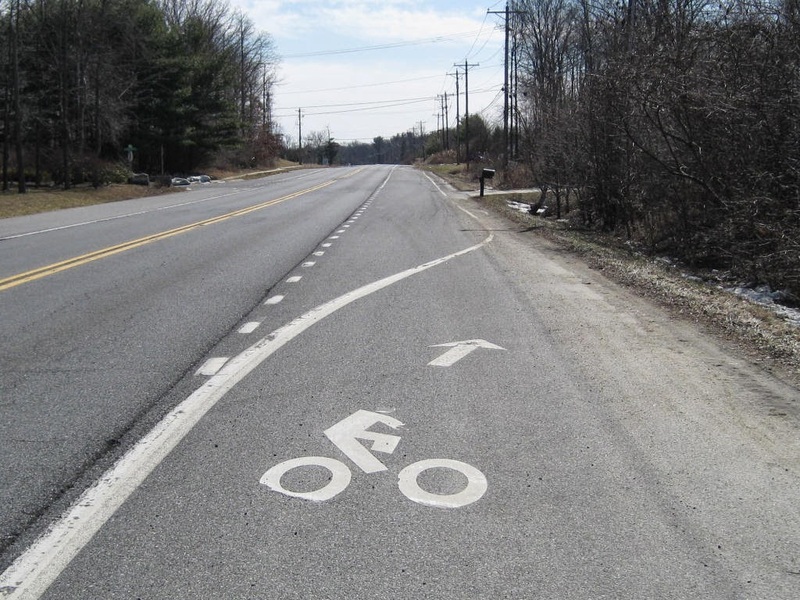 Treatments like the above, in this case pointing bicyclists off the road, is worse than nothing at all. 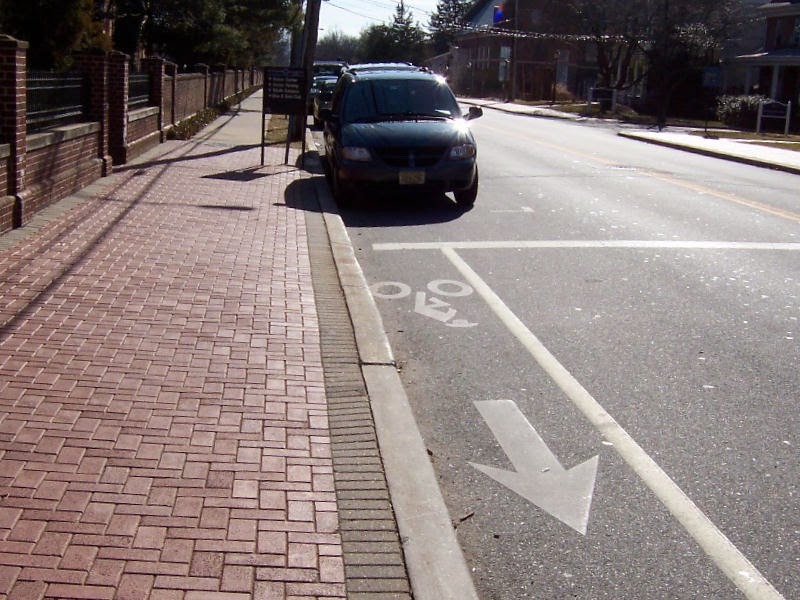 This "bike lane" has been on the ground in Newark for many years. No one should expect bicycling to be taken seriously when the facilities they need actually relegate them to 2nd class citizens.